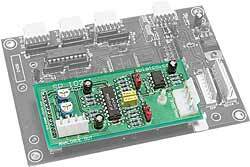 The SPice10211 provides 2 analog inputs and 2 analog outputs. It is intended primarily for users who want analog I/O on an MS12 controller, but it can also be used to add more analog I/O to MMi200 and SL99 controllers. Analog I/O expansion, provides 2 analog inputs and 2 analog outputs.